When the Vault 76 door rolls open and your Reclamation Day journey begins, you may notice dwellers who’ve donned more personalized wardrobes over their standard-issue Vault Suits. 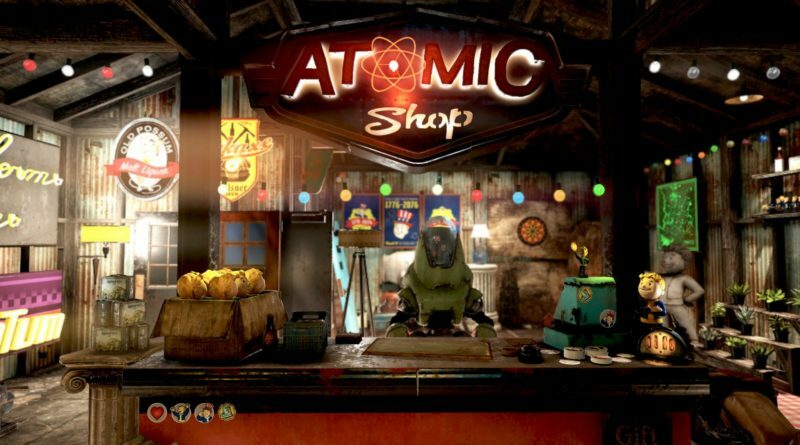 Aside from finding outfits as you explore, or crafting them at workbenches, the Atomic Shop can help you kick off a few costumed capers of your very own. Not only can you peruse a plethora of new outfits, you’ll be able to acquire other items like weapon skins, armor skins, emotes, décor and more. The Atomic Shop was founded to give you as much choice and variety in how you want to customize and celebrate your adventures. It doesn’t offer anything with a competitive advantage, and more so, it aims to bring joy not just to you, but the other dwellers around you. Read on for more details about the Atomic Shop, Atoms, and Challenges. You’ll be able to access the Atomic Shop from the Main Menu as soon as you’ve created a new character and exited Vault 76. The Atomic Shop will be updated regularly with plenty of new items, so you’ll always have the option to grab the latest and greatest for your escapades outside the Vault. You can use the list on the left side of the screen to view different categories, and the navigation bar at the top to hop between sections within a category. 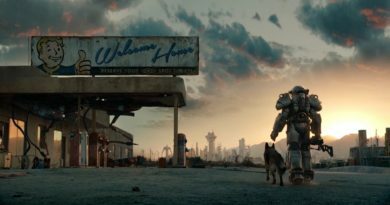 Seasoned Fallout players know that no two days in the Wasteland are ever quite the same. 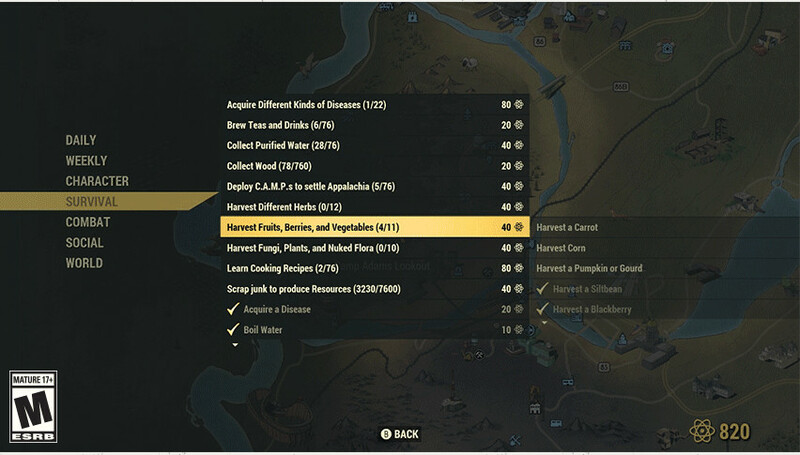 The new Challenge system in Fallout 76 ensures you’ll always have fresh activities to do to gain Atoms. Like the Shop, you can access Challenges from the Main Menu as soon as you’ve created a new character and exited Vault 76. Challenges vary in difficulty and award different amounts of Atoms depending on the effort needed to accomplish a given task. Challenges, and their respective Atom rewards, can only be earned once per account. However, some Challenge requirements and rewards will increase several times as you complete them. Additionally, we’ll also keep you stocked up with activities that refresh on both a daily and weekly basis, so you’ll never need to worry about running dry. All your Atoms, as well as your purchases, will be shared across your entire account. 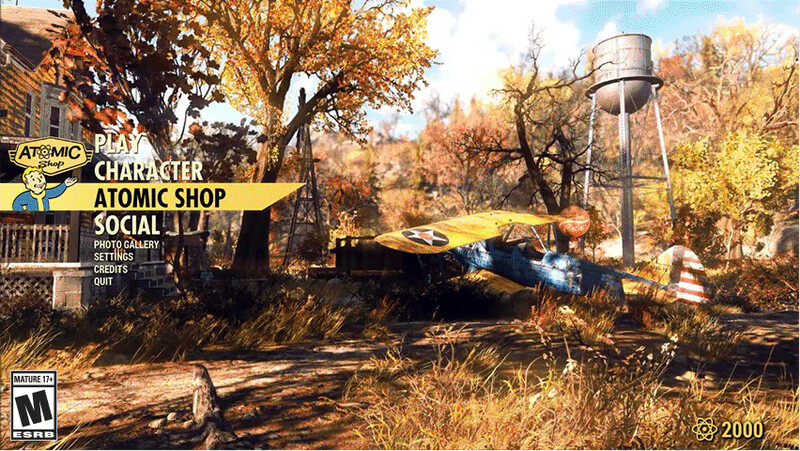 So, take your Atoms over to the Atomic Shop and pick up that new paint job you’ve been eyeing, or save up for that special outfit you’ve always dreamt of without fear that your new items are tied to a specific character. Players on Xbox One have been earning Atoms since the early B.E.T.A. began, but the Atomic Shop will open for business with the start of B.E.T.A. on all platforms Tuesday October 30th. 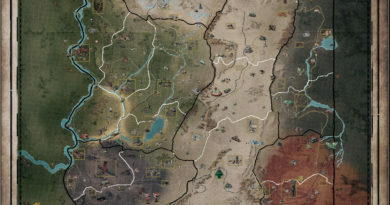 We’re also planning to carry over any character and Challenge progress you make, Atoms you earn, and items you purchase with Atoms during the B.E.T.A. into the launch of the game on November 14th, when all new additional items will be added to the Atomic Shop. We hope you have a blast customizing your character and finding your own unique fashion statements once Reclamation Day arrives! Hungry for more Fallout? 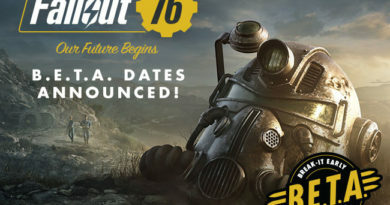 Stay tuned to Fallout.com and Bethesda.net for the latest news and announcements about Fallout 76 as we approach the B.E.T.A. and launch.